WTF?! Despite not having the best specs, most reviewers are fans of the Pixel 3 XL, though not all consumers are impressed by Google’s flagship. But the one thing almost everyone agrees on is the notch: the ugly cutout is the phone’s worst feature. So, imagine the irony of bug that adds a second notch to the side of the display. Unlike the physical notch that’s home to the Pixel 3 XL’s front-facing cameras and sensors, these secondary notches are of the digital variety. The phantom notch bug has affected several users who posted pictures of the weird glitch on Twitter. Jessie Burroughs, Kyle Gutschow, and UrAvgConsumer all experienced the same phenomenon. 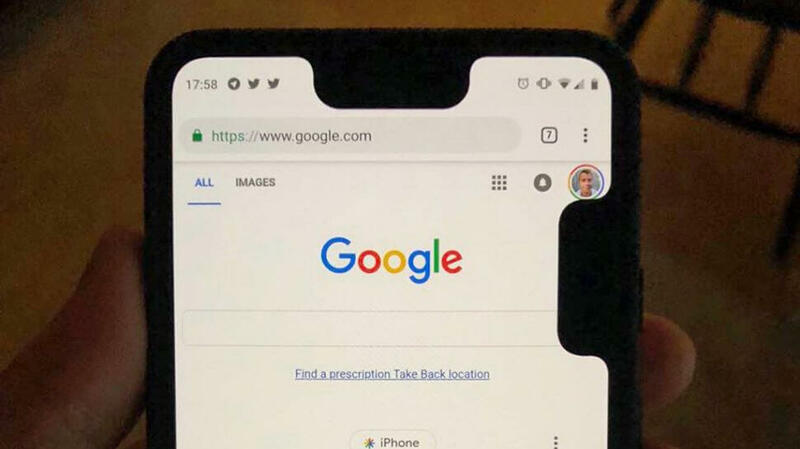 It’s theorized that the issue is related to a feature that allows the Pixel 3 XL’s notch to be hidden by placing black bars alongside the cutout—these ‘second notches’ are appearing at the side of the phone because of the glitch. Thankfully, some Reddit users say just switching the phone between portrait and landscape modes will make the second notch disappear when the screen refreshes. Others claim that restarting the Pixel 3 XL is the only way to correct the software issue. Google might want to roll that fix out before Samsung takes note. Earlier this month, the Korean firm mocked the Pixel 3 XL’s cutout, 4GB of RAM, and lack of expandable storage on Twitter. The company would likely have plenty to say about a second notch on its rival’s device, even if it is only temporary.